Choosing a dog is never an easy decision, but the stakes are raised when children are involved. Options are limited further when size restrictions come into play, but there are plenty of small dog breeds that are good with kids. 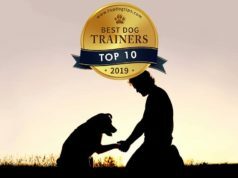 Although all dogs are individuals and personality traits will vary, this list will give an idea of which breeds are known for being patient and non-aggressive, while still fitting your individual needs. It should be noted that very small dogs should still be supervised around young or excitable children no matter how tolerant and loving the dog may be. Even the most well-meaning kids can sometimes play too roughly. Accidents may happen. For the sake of the child and the dog, it is best for an adult to ensure that play time is always gentle, safe and supervised – even if you adopt one of the small dog breeds that are good with kids. Papillons are tiny dogs with big hearts. This dog breed is very affectionate, but they are also quite delicate. They would be a great dog for a family with gentle and loving children. This breed adores people and can easily develop separation anxiety. On the downside, they do tend to bark, especially when left alone, and may not fare well in close living quarters. These little dogs love people and being the center of attention. They are playful and patient with kids, and their lap dog personalities make them great for apartments. Cresteds dog breed tend to bond closely with their humans and are prone to separation anxiety if they do not receive plenty of attention. It's best not to leave them alone for too long, but if you can manage that then they are definitely one of the best small dog breeds that are good with kids. The Maltese packs an outgoing, fearless personality into a small body. This breed is naturally sweet and even tempered, but need clear boundaries and discipline to avoid becoming spoiled and acting out. These dogs are a good choice for apartment living and do not require more exercise than a regular walk and playtime to stay happy. Affectionate, docile and friendly with kids as well as other pets, the Bichon Frise is an ideal family dog. They are not physically demanding and only require regular, light exercise to stay fit. As a bonus, this breed sheds very little and is a perfect fit for people with allergies. However, these dogs have a reputation for being difficult to house train so they will require some extra patience as puppies. Originally bred to be companion animals, the Havanese is easy going and loves to entertain. They are active but have minimal interest in spending much time outside. They require little exercise beyond time to play, making them a good fit for apartments. A Havanese will need consistent grooming to keep his fur healthy and free of matting, but other than that he is one of the most ideal small dog breeds that are good with kids. Italian Greyhounds tend to be clean, quiet dogs, making them perfect for apartment living. Though normally calm, they can be prone to bursts of non-aggressive energy. This breed is very sensitive to the cold and will need sweaters or blankets to be comfortable in cooler climates. They would be a good match for a household with calm, gentle children. 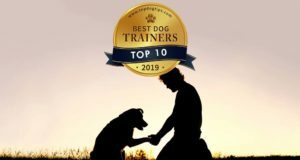 Well behaved and easy to train, the King Charles Spaniel is definitely one of the best small breeds for does well in any environment where they are showered with love and affection. This breed is playful and adventurous, but susceptible to anxiety without plenty of exercise and attention. They are a wonderful choice for a family of any size that will include them in all of their adventures. Norfolk Terriers are very pack-oriented and will bond closely with the entire family. These dogs are usually quiet, making them a good match for apartment dwellers as long as they get daily exercise. This breed is easy to train, endlessly playful, and would fit right into a home with any number of children to run around with. The Shih Tzu is an affectionate, low energy breed that is welcoming to all and a wonderful watch dog. They can be difficult to train and require regular grooming, but their exercise needs are minimal. Gentle and patient with all members of the family, these dogs can be happy in just about any location as long as their people are around. Excellent with kids and loyal to their families, Tibetan Spaniels are an ideal choice for a household with young children. They love people, and are likely to get anxious if left alone for too long. They don't crave exercise beyond regular walks, and their active time should be people-oriented rather than free time to play on their own. With regular grooming this little dog will be a happy addition to your family. These dogs are not only even-tempered, but endlessly entertaining as well. French Bulldogs don't need much space, and don't have specific needs for environment besides constant attention. Frenchies are prone to heatstroke and must be watched closely for signs of overheating in warmer climates. This breed makes a wonderful family dog and warms up to everyone they meet with ease. French Bulldogs are certainly one of the best small dog breeds that are good with kids. One of the best known small dog breeds that are good with kids, the Beagle is an affectionate and curious breed. These dogs are very patient with children and have the stamina to keep up with them. They have a signature hound dog baying howl, and may be too loud to be well-suited for apartments. They love to explore and would fare best in a rural home with a spacious yard. Pugs are sweet and funny little dogs. They are sturdy enough to keep up with a playful child, and quite patient as well. This breed loves to play, but they are rather low energy and susceptible to overheating. Pugs are the definition of lap dogs, and are gentle with babies and toddlers. Just keep a close watch on their bulging eyes which are prone to injury. They are a perfect fit for a family that lives in a small house or apartment. As long as they receive ample attention and naps they'll be a wonderful addition to your family. Cocker Spaniels make terrific family dogs with their loyal and affectionate nature. This breed is also notably tolerant of other dogs and would make a good addition to a family looking for a second pet. They tend to be sensitive and early socialization is important in making sure they don't become too easily overwhelmed. These dogs require regular grooming and adapt easily to different climates and types of housing. Energetic, adaptable, and highly affectionate, Boston Terriers are wonderful pets for an active family. They often bond closely with one person in particular, but not in a way that makes them aggressive towards others. Dogs of this breed are usually very in touch with their owner's emotions, and will adjust their own behavior to meet their needs. Bostons do tend to be loud, and while this makes them great guard dogs, it may result in complaints from neighbors in apartment buildings and compact suburban neighborhoods. This breed possesses a strong prey instinct, and while they may be a poor choice for a family with a cat or other small pet, they are one of the best small dog breeds that are good with kids. Westies love to play, and have the stamina to keep up with even highly active kids. They also tend to be frequent barkers and may disturb neighbors. These dogs are a perfect choice for a high energy family in a home with plenty of space to run and play. Shelties are intelligent, playful dogs that need plenty of mental and physical exercise. Though affectionate, they can be sensitive to loud noises and jerky movements, making them a better fit for a family with older children. With their piercing bark and heavy shedding, this breed would fit in best with a rural household that offers lots of space to for exercise and activities. You'll also need to be prepared to give your Shetland Sheep Dog plenty of grooming, as they'll need regular brushing to keep their long coat soft and tangle-free.